To add an extra special touch to our bags of Custom Printed Smarties choose the Custom Printed Smarties 50 gram hang sell bag. To add an extra special touch to our bags of Custom Printed Smarties choose the Custom Printed Smarties 50 gram hang sell bag. 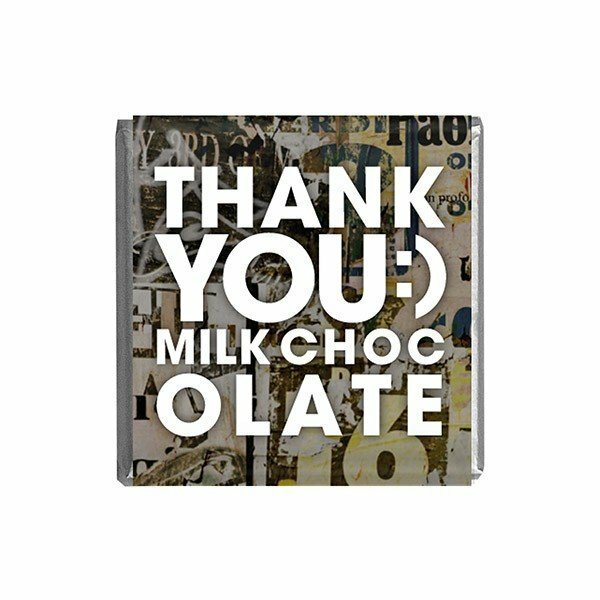 The clear bag will be filled with 50 grams of Custom Printed Smarties and have a cardboard full colour hang sell attached to each one. Send us your logo, graphic or text that you would like printed directly onto the smarties and we can confirm if it will be suitable for printing. We are able to print in one colour black on the Smarties and full colour on the hang sell header. 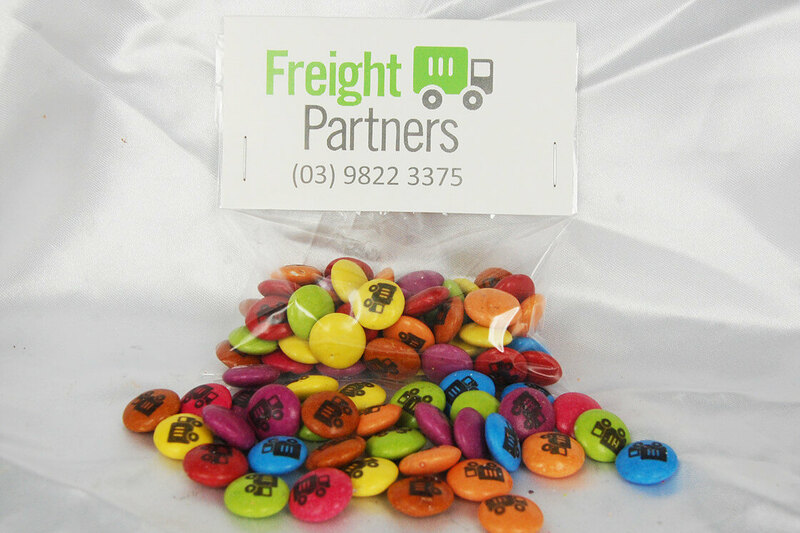 Order the Custom Printed Smarties 50 gram hang sell bag today for your next event and your clients will be amazed with the effort you have made for them. Please call us today on 1300 008 300 if you have any questions or place your order online now. We are excited to work with you!